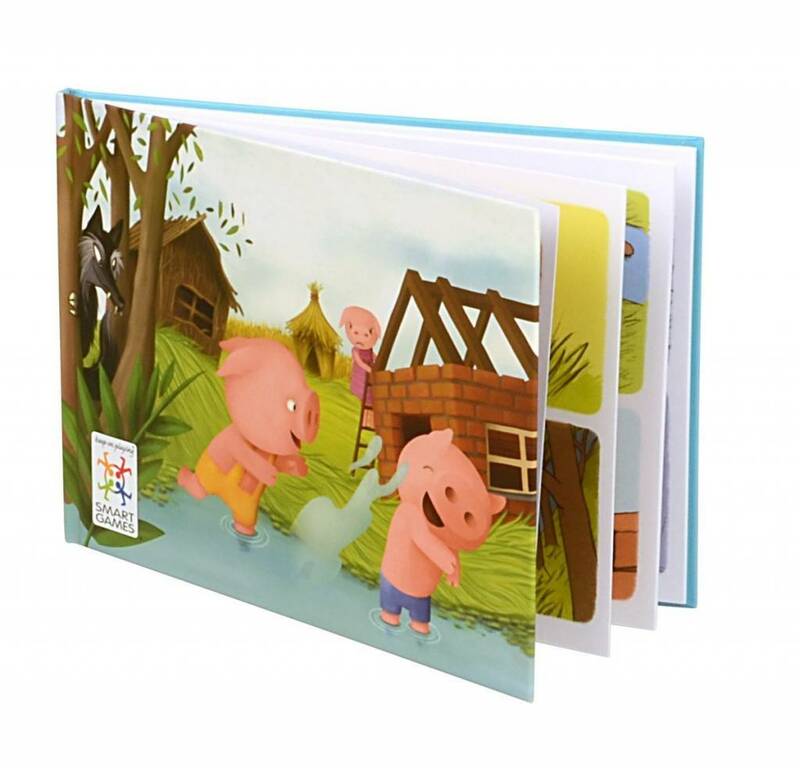 Three little piggies are busy all day playing by the river but as it gets dark they need your help to get home safely before the big bad wolf catches them! 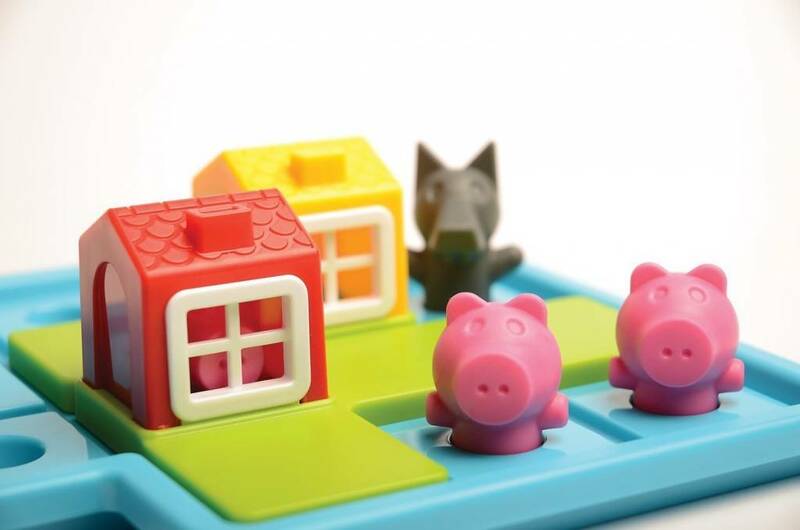 this game is designed specifically for preschool children age 3 to 6 with 48 challenges - 24 daytime challenges without the wolf and 24 nighttime challenges with the wolf - that are simple to solve and lots of fun. 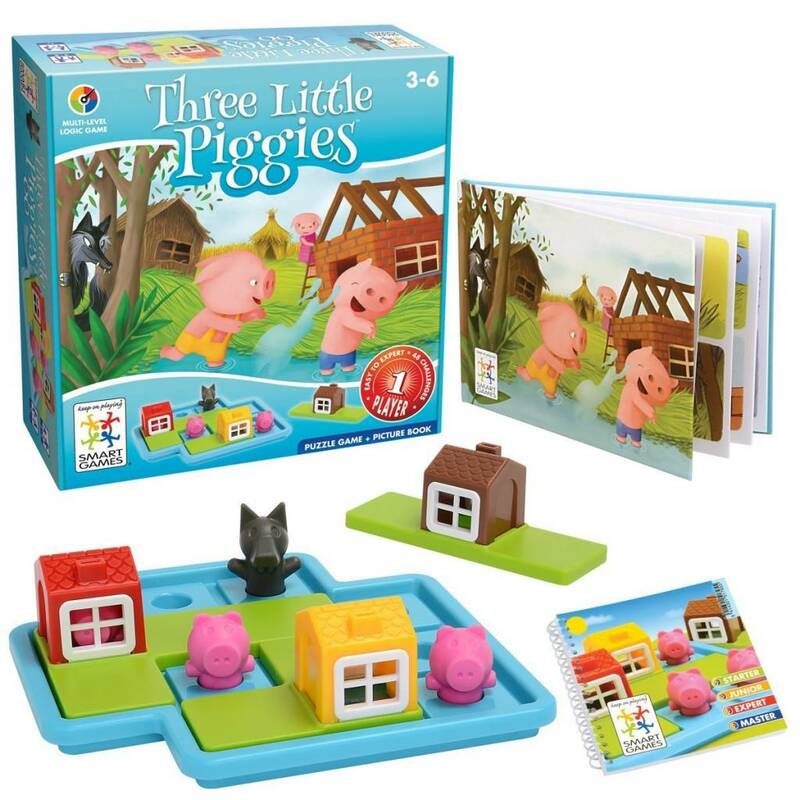 The challenge of the game is two-fold: the object of the daytime challenges is to place the 3 puzzle pieces on the game board so that the piggies stay outside, while the object of the nighttime challenges is to place the houses on the game board so that all the piggies are safely inside and the wolf is outside. 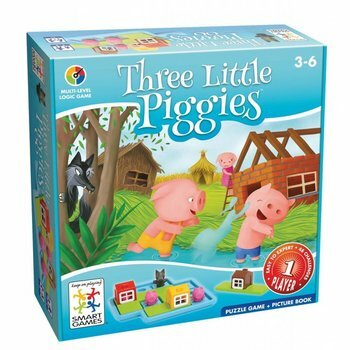 SmartGames has ingeniously designed three little Piggies to get young minds thinking; it's a game kids can't get enough of that also has a meaningful impact on their development. Smart fun, smart kids: SmartGames! 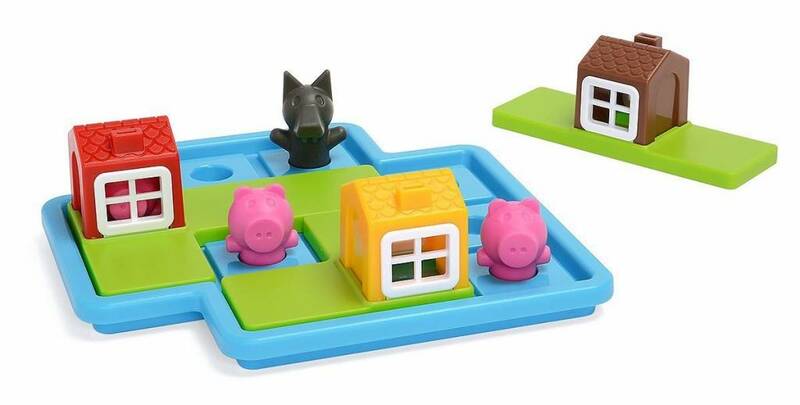 SmartGames are exclusively distributed in Canada by Pierre belvedere, whose unique presentation of educational toys has been carefully selected to ensure that all toys are non-violent, age appropriate and promote creative and imaginative play. 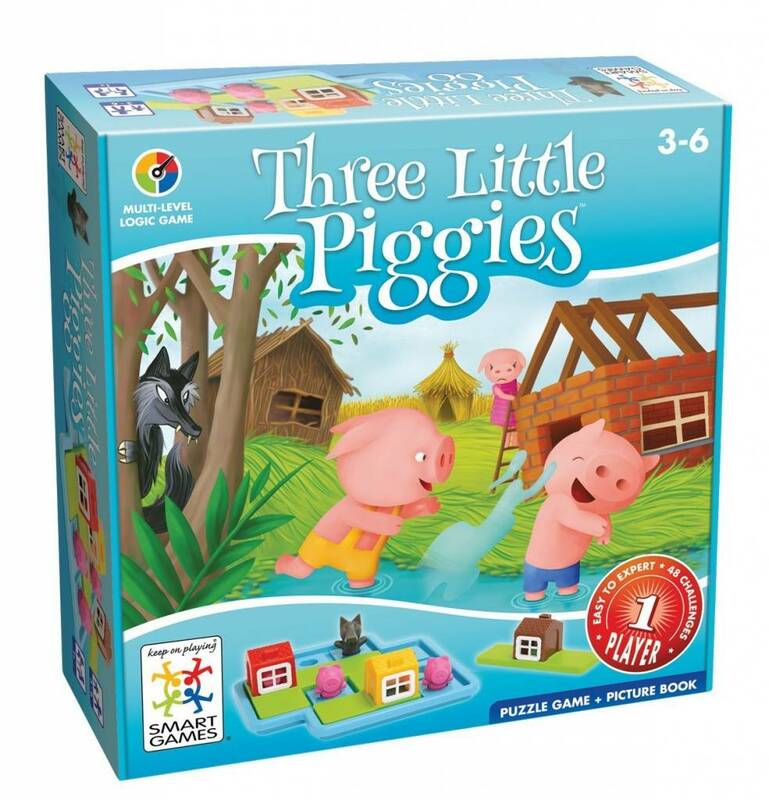 Their wide range of products includes stimulating toys for newborns and toddlers, fun board games and educational toys that inspire a child's curiosity. All toys distributed by Pierre belvedere are manufactured to strict specifications and tested by an independent international lab to ensure that the highest levels of safety standards have been met.